Many consumers shopping for natural mattresses are overwhelmed by all the standards, regulations, and laws. No wonder. The terminology is both dull and confusing. All that documentation might be good bedtime reading--the effort to wade through it could coax you into a good snooze. But if you’re a lover of acronyms, stay awake just a little longer. There’s a new one to report. First, some background. For years organic foods have been certified to legal standards. Although these standards evolve, usually in response to pressures from agribusiness, most people understand that it’s better to choose organic food over food that’s been sprayed with pesticides. Sometimes local, non-certified goods grown by neighbors who use organic practices will be of higher quality than foods from major producers that sport official organic labels. Either way, most of us can find healthy alternatives to factory-farmed foods. Mattresses, on the other hand, are harder to figure out. There is a national fire standard with standardized testing. That’s the only straightforward and universal certification for mattresses in the United States. Beyond meeting safety requirements for flame retardancy, some manufacturers will self-certify to other “natural” standards, or purchase various certifications that were never intended for mattress materials. Since the early 2000s, the Environmental Working Group has maintained organic standards for textiles--including fabric and batting. 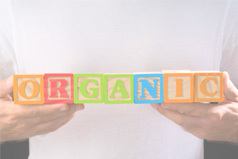 The acronym is GOTS, for Global Organic Textile Standards. Mattresses and bedding can be certified to GOTS standards. This certification requires that both the materials and the manufacturer pass an annual inspection. 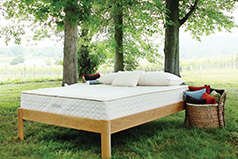 Savvy Rest’s Pastoral is one example of a GOTS-certified mattress. The wool batting, the fabric casing, and our manufacturing facility are all GOTS certified. Until recently, however, there has been no organic standard for latex foam. Certifying agencies could not apply the GOTS standards to natural latex, because producing foam involves such different processes than those used to manufacture textiles. Enter Global Organic Latex Standards, or GOLS--a relatively new certification from the Control Union, the international organization that certifies organic growers and manufacturers around the globe. Since 2009, Savvy Rest’s natural Dunlop latex serum has been grown and harvested on certified organic farms in Kerala, India. The good news is that in 2012, the Control Union also certified our Dunlop supplier's latex processing as organic to GOLS standards. So far, the GOLS seal is not yet as widely recognized as GOTS. But as the industry moves forward, GOLS will also become a well-regarded standard. 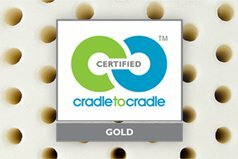 Our Talalay latex is Cradle to Cradle Gold certified, but not all customers know exactly what that means. Here's a primer. An organic mattress contains pure materials for a natural, healthy sleep. Browse our selection of natural latex and organic mattresses.